We propose the perfect way of doing freediving and yoga, while exploring Tulum during your holidays. Our Villa Yaaxbeh is very suitable for families or groups of friends who have a car and would like to make a tour of Tulum and the region. Surrounded by the natural charm of local vegetation, you will find security and tranquility with an ideal place to enjoy the experience of Tulum. Relaxing home offering a grand open space - the living room, dining room and kitchen all sit next to story-tall sliding glass doors leading to the patio. 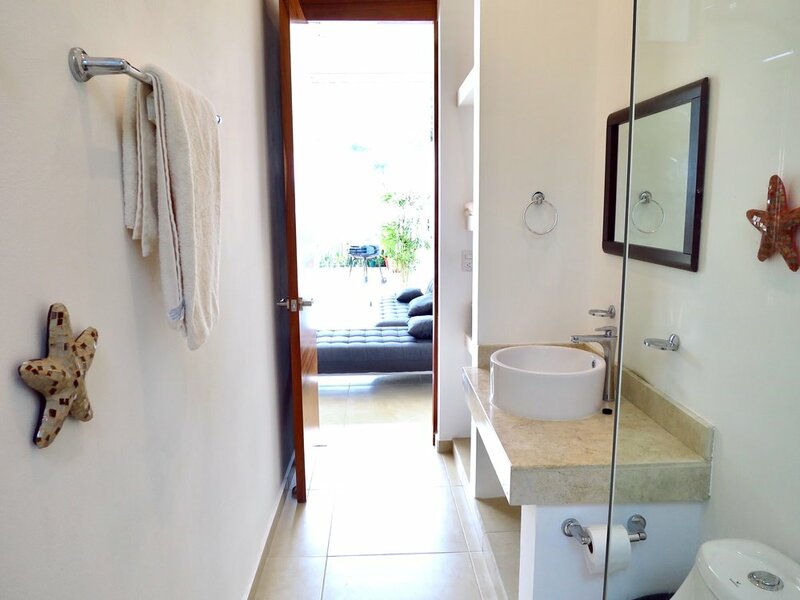 2 bedrooms, 1 full bathroom, with parking in a beautiful gated community with garden landscapes, 1 mile away from Tulum hotel zone, and just a short walking distance to restaurants and shops in Tulum town. You can accommodate 4-6 people. 4 individual beds which can be converted to queen beds upon request + 2 folding sofas that turn into beds. 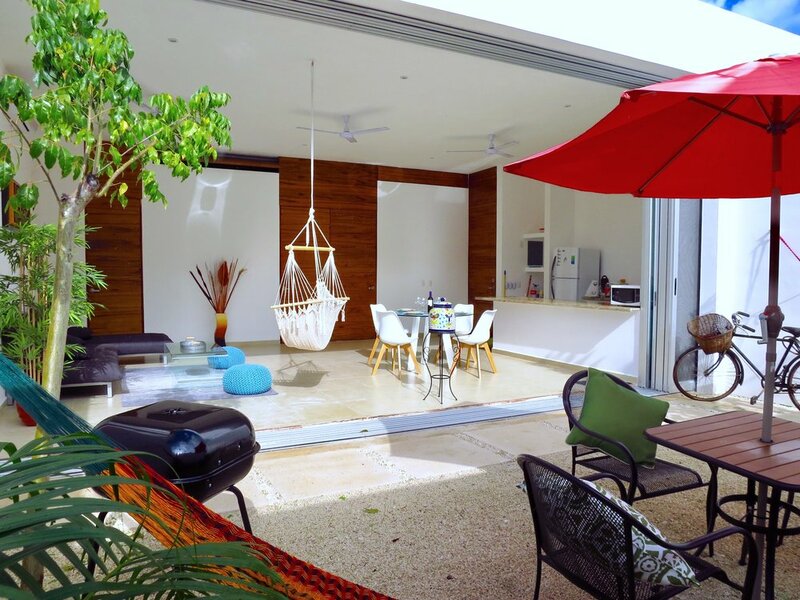 Full modern kitchen and a nice patio where you can enjoy some BBQ or simply relax in the hammocks! We have extra amenities such as laundry and 2 beach cruiser bikes for riding around town. Fan & AC are in each bedroom & living room. Wifi is included with your stay. 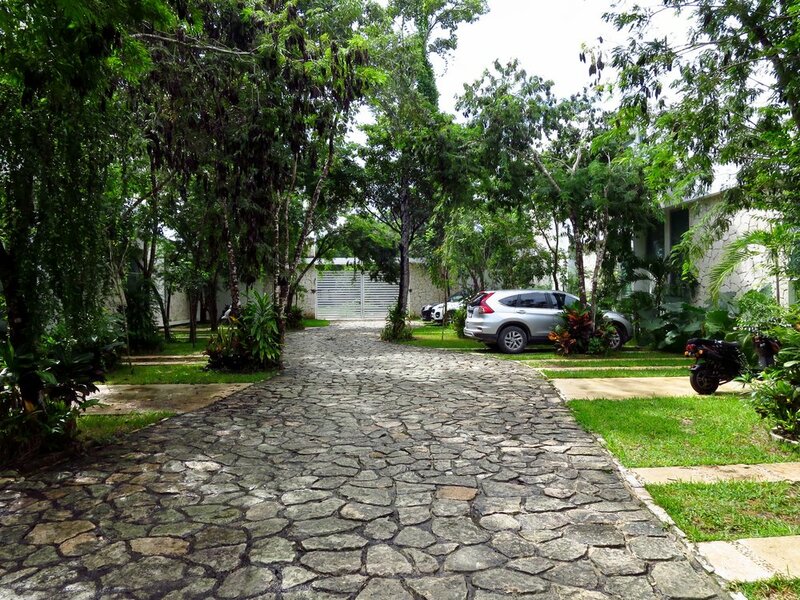 Located in a quiet residential area, on the south side of Tulum Town, aprox. 10 minutes by car from the beach, cenotes, lagunas and ruins. You can walk to restaurants and shops in Tulum Town from here. Supermarkets and grocery stores require a bike or other form of transportation. Looking forward to welcoming you soon for a Yoga and freediving retreat in Tulum! We offer all inclusive tailor-made package* (freediving; yoga; massage and accommodation). We invite you to contact us to check what can be the best offer to match your desires and schedule!